According to House Beautiful there are 19 room-decorating colours that will dominate interior design throughout 2018, including blush, also known as millennial pink, sage, and marigold. 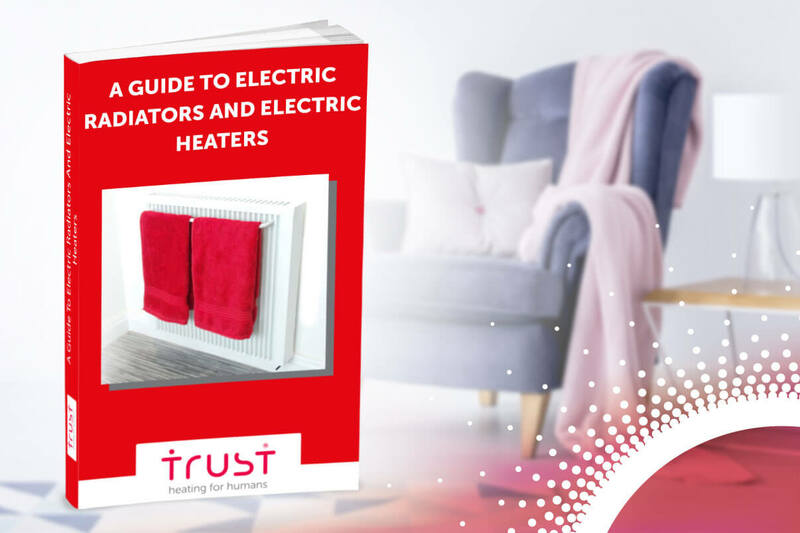 Here at Trust, we like to make sure our customers stay bang up to date with the latest trends, so if you thought that our electric radiators only came in white, then think again! We have a huge range of colours for you to choose from, ensuring that your carefully conceived interiors look absolutely perfect. Whether you want something neutral and elegant, such as Silk Grey, pictured here teamed with white and taupe, or a strong, bold colour such as Flame Red, we have the solution. And don’t forget, our radiators have a unique soapstone core, which absorbs, retains and radiates heat in such a way as to keep your rooms warmer for longer. Economical, efficient AND stylish – that’s the Trust way!